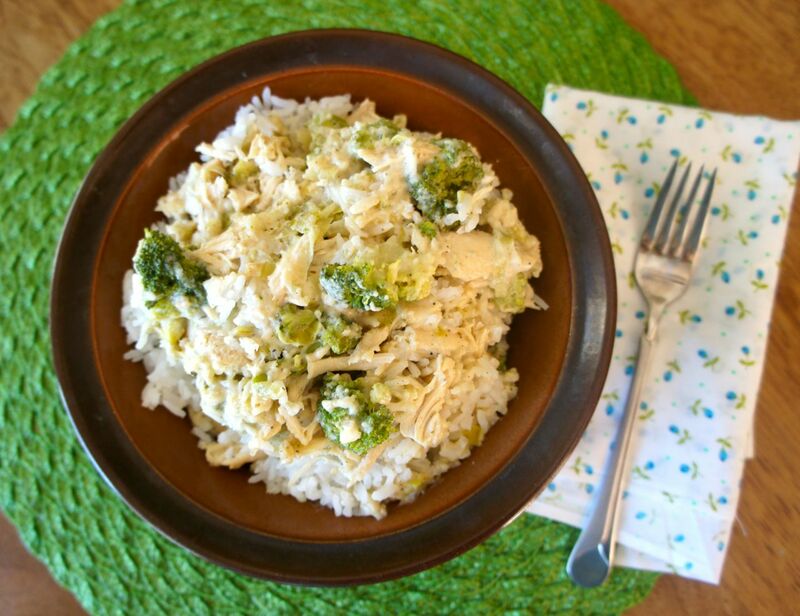 There you have it: Broccoli Chicken Divan! My work here is done. Just kidding. 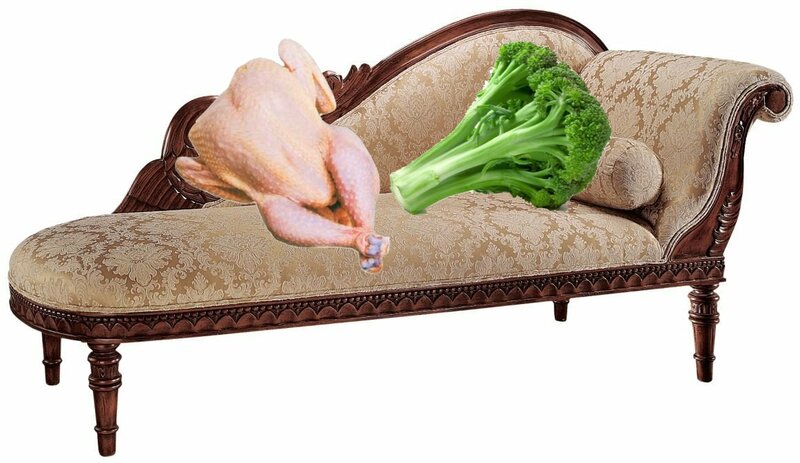 In reality, the food version of a “divan” is a broccoli-chicken casserole named for the restaurant where it was created: the Divan Parisienne, a fine dining hot spot in early 20th century New York. As a home cook, I first tried chicken divan years ago in a phase where I relied heavily on condensed canned soups. The dish is one of those comfort food classics that’s warm, creamy, savory….and apparently nearly impossible to make without using a condensed canned soup. When I wanted to make this recently, I had to search high and low for a recipe that did not call for something out of a Campbell’s can. (I’m not gonna get all uppity about canned soups–I just like the idea of using more whole-foods-type ingredients.) Eventually I discovered this version from Eating Well (almost always a good resource!). Instead of using canned soup, this recipe makes its own creamy sauce with chicken broth, milk, flour, and leeks. Yep, leeks–you know, that weird onion-type vegetable that looks a little girl’s bike handlebars with streamers on it. I’m not the only one who sees this, right? Also known as The Vegetable You Have to Throw Out Most Of…because unfortunately, that whole top green part (the “streamer” part) is not considered desirable for eating. As for the white/light green part (the “handlebar” part), it imparts a piquant flavor that I think really makes this recipe. Between the leeks and the other wholesome ingredients, I was super pleased that this recipe made a chicken divan that was 100% homemade, 100% delicious, and 100% NOT a chicken and a broccoli on a couch. Preheat oven to 375 degrees. Coat a 2-quart baking dish with cooking spray. In a large non-stick skillet, heat olive oil over medium-high heat. Add diced leeks and salt and sauté until softened but not browned, about 4 minutes. Add flour and stir to coat. Add broth, milk, half and half, sherry, thyme, and pepper and bring to a simmer, stirring constantly. Add broccoli, return to a simmer and cook until broccoli is warmed through. Remove from heat and stir in 1/2 c. Parmesan, mayo, and mustard. 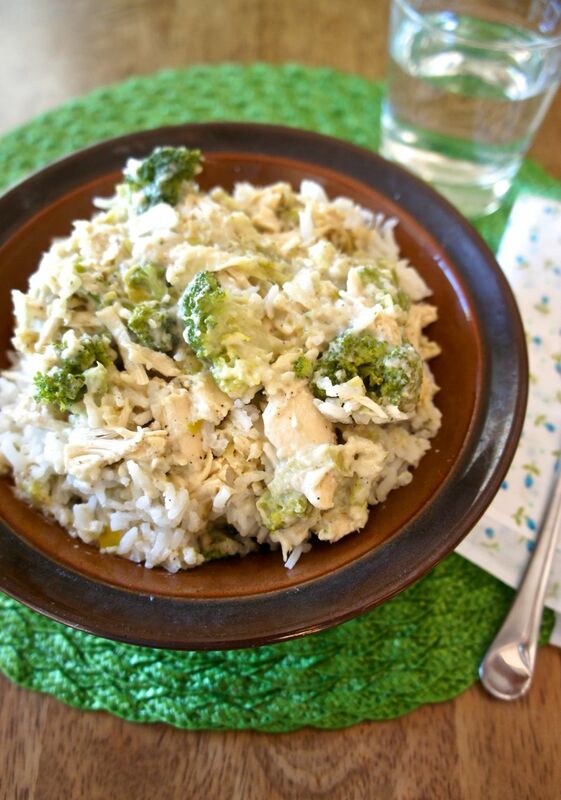 Spread half the broccoli mixture in the prepared dish, top with shredded chicken, then spread remaining broccoli mixture on top. Sprinkle with remaining 1/2 c. Parmesan. Bake uncovered until bubbling, 20-25 minutes. Serve over rice, orzo, or pasta. This entry was posted in Recipes and tagged Chicken, Main Dish. Bookmark the permalink.